This is my longest necklace ,but using some big beads is heavier and stays well although it's not full . WOW, although I am almost speechless.... 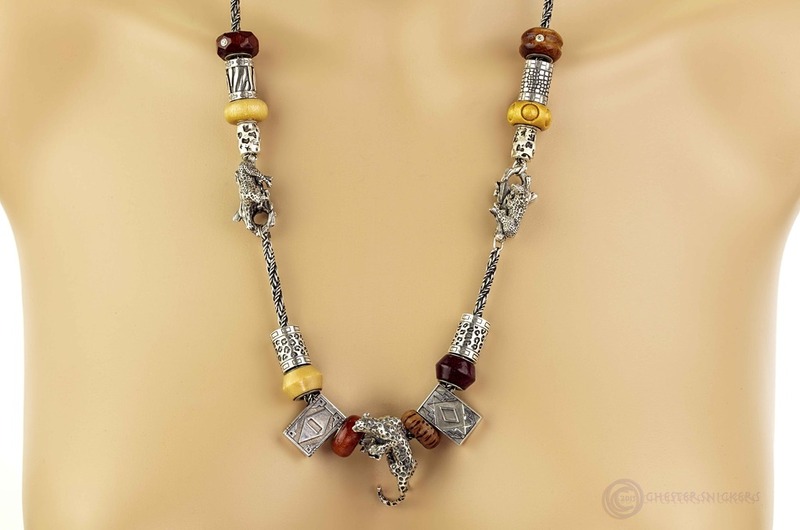 I think your necklace captures the African spirit perfectly. Too stunning for words and very creative! I am speechless too... Absolutely fantastic!! Very creative, love the way how you used your beads, the wooden beads are great and I love the Leopard Lock, the drum shaped beads and Zulu. I love the use of your locks. You highlighted stunning pieces. How big is the focal pendant compared to the Naughty Dragon or a similarly large silver? Love this arrangement, really unique. @ceruleanbluebird wrote: I love the use of your locks. You highlighted stunning pieces. How big is the focal pendant compared to the Naughty Dragon or a similarly large silver? They are very similar as length,around 40mm =1.57inch.